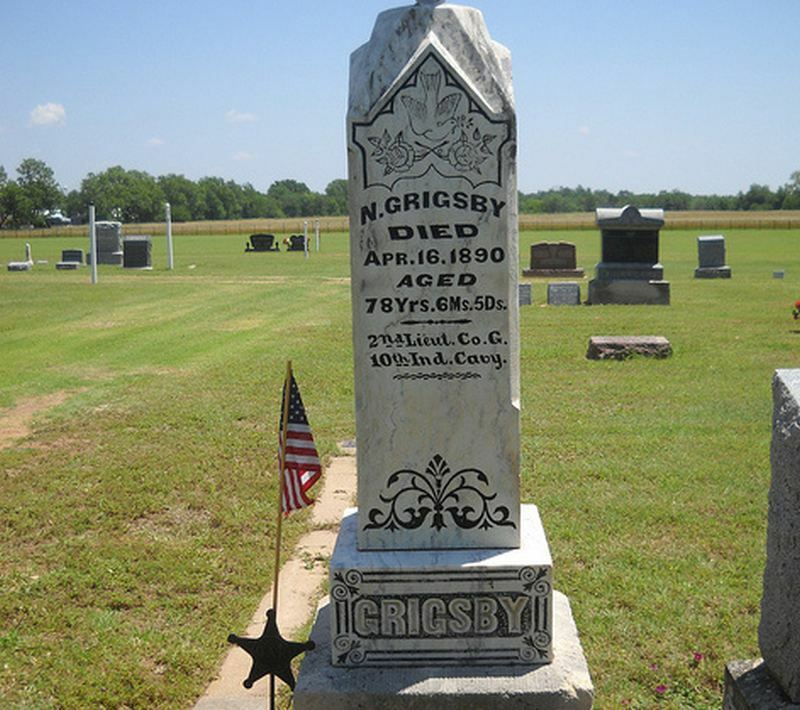 In Kansas, one man, Nathaniel Grisby, had his dying wish, to warn future generations about the Democratic Party, fulfilled. 129 years ago, this warning was etched on his gravestone in accordance with his final wishes. After the warning, Natty moved back to Spencer Co., IN where he and four of his five sons enlisted in Company C 10th IN Cavalry (Richmond Davis did not enlist). Natty was named 2nd Lieutenant. The family apparently returned to Carroll Co., MO but in 1885 they moved to Harper Co., KS and settled on a farm in the extreme northwest corner of the county. In 1890, they moved to Attica, KS. Nathaniel was buried in Attica. 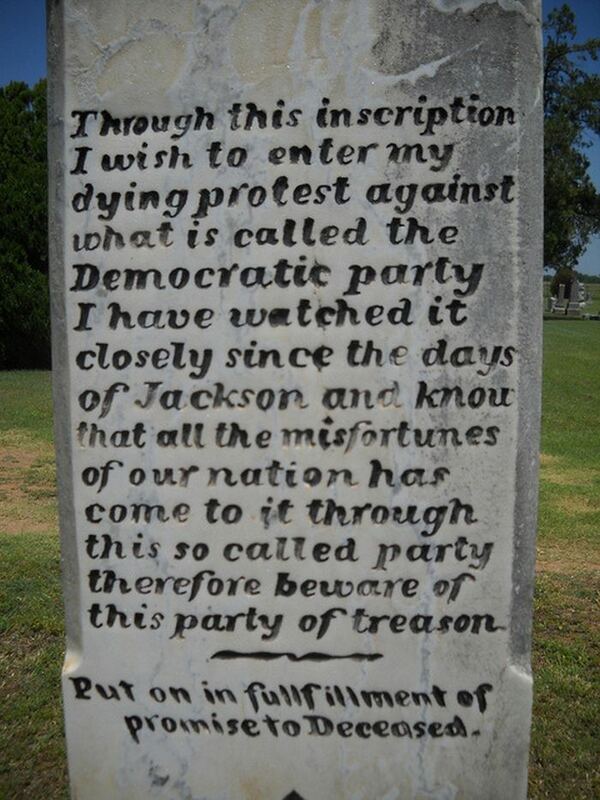 “Through this inscription I wish to enter my dying protest against what is called the Democratic party I have watched it closely since the days of Jackson and know that all the misfortunes of our nation has come to it through this so called party therefore beware of this party of treason. Snopes confirms that this is real, and not a photoshop. Do you think Nathaniel’s 129 year old “warning” about Democrats is still spot-on?